Welcome Streetsboro Alumni & Community Members! The Streetsboro Alumni Association provides an opportunity for fellowship of the Alumni of Streetsboro High School and maintains an awareness of community and school needs in Streetsboro. 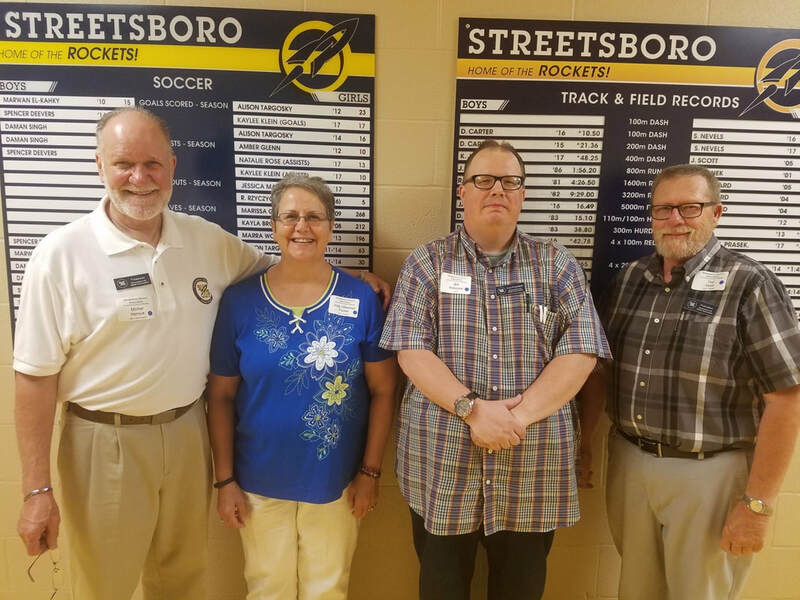 The Streetsboro Alumni Association has a Board of Directors, pictured right, who volunteer their time to provide leadership for the association. Board of Directors for the 2018-2019 academic year are from left to right are Treasurer Michel Heroux, class of 1966, Secretary Judy (Wenzel) Puster, class of 1976, Vice President Bill Koleszar, class of 1988, and President Ted Hurd, class of 1970. Many Streetsboro alumni have joined the Streetsboro High School Alumni site which is run by alumniclass.com which is a commercial business and does not provide student scholarships, or provide any of the benefits that we do. We have awarded $13,950.00 to graduating seniors since 2008.